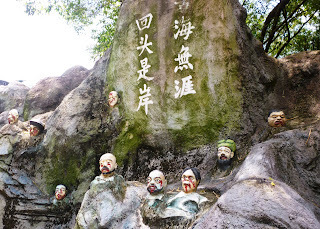 Right before we left Singapore for the holidays, I completed one of my 101 in 1001 goals: to visit Haw Par Villa. 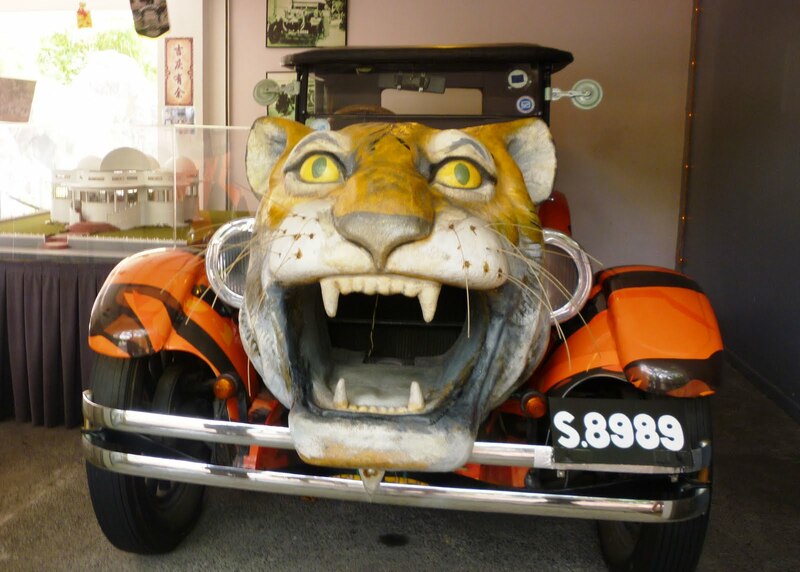 This is a very strange theme park based around Chinese mythology and folklore, which was built by the founder of Tiger Balm as a pet project (it was on his estate, and he let everyone visit for free). He had a genius for self-promotion (check out his car!) but also a moralistic interest in educating the public. So the theme park includes a whole section on the Buddhist hells (the decapitated heads mark the entrance to this area), with very detailed depictions of the various punishments. 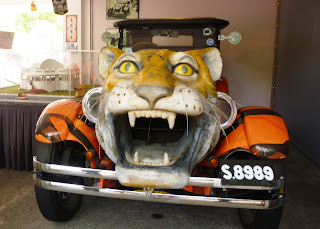 Apparently Singaporean parents used to take their small children here to teach them about what would happen if they were bad. and depictions of both the virtuous (the man on the turtle got merit for freeing it from its fate as dinner; later it saved him from a shipwreck) and the wicked (the men gambling and fighting). But I liked the really strange stuff best, like Chinese mermaids and card-playing animals. My absolute favorite was this elaborate scene of rats, hamsters, and rabbits, perhaps engaged in making war? (or love, it's not clear). I have no idea what it means, if anything, but it was totally awesome.